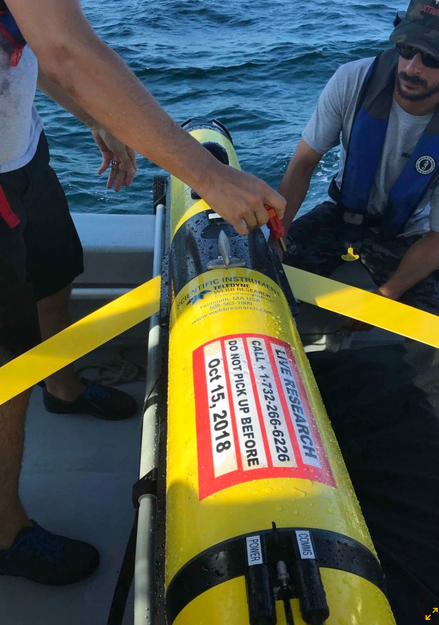 Because that remote-controlled glider survived Irene—much to the relief of the New Jersey Department of Environmental Protection, which technically owned it—it may have helped to change the science of hurricane-intensity prediction. 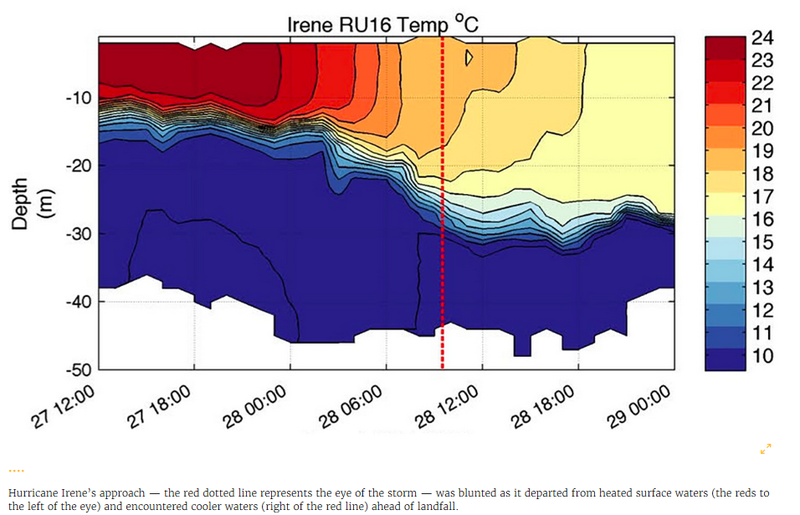 But Glenn challenged that assumption when his drone detected a rapid and sharp drop in ocean temperature ahead of Irene’s eye that coincided with a decrease in the storm’s intensity just before it hit the New Jersey shore. He confirmed that discovery in reverse 14 months later when a rise in water temperature as Hurricane Sandy approached the same New Jersey shore coincided with an increase in the storm’s intensity. Until drone gliders came along, forecasters had no way of knowing what was going on below the ocean surface during a storm. Unlike the hurricane-hunter aircraft that fly into and around storms, it’s too dangerous to leave ships in their path to take measurements. And satellites—which can only measure surface temperatures under the best of conditions—can’t detect anything through storm clouds.